Former Special Representative of the UN Secretary General Dieter Boden, who was in charge of the UN Observer Mission in Georgia, visited Sokhumi on March 10-11. His visit coincided with another visit to the breakaway region by EU Special Representative for the South Caucasus Peter Semneby, but according to Abkhazian media sources Boden’s visit was a “private” one. Boden gave a lecture at the so-called Abkhazian State University on March 10, news agency Apsnypress reported. Later on Thursday he met de facto Deputy Foreign Minister Daur Kove, head of the International Department of the de facto Abkhazian MFA Lana Agrba, de facto Abkhazian President Sergey Baghapsh and de facto Vice President Alexander Ankvab, according to the Abkhazian media. During his meeting at the de facto Abkhazian Foreign Ministry Boden stated that despite now being a lecturer he continues to be interested in the situation in the region and “closely follows” the development of events in the South Caucasus, the de facto Foreign Ministry reported. “Of course I remember well when I used to work as UN Special Representative. It is impossible not to be interested in the future of the Caucasus region. It is not only me who is interested in this, but many Europeans as well. Today this interest is more intense than ever,” Apsnypress quoted Boden as saying. “I used to work here and have now arrived on a private visit as an academic to hear and understand what the current situation is and tell others about it. I would like to make my modest contribution to resolving the existing problems so that the Caucasus becomes a stable region,” he said. Georgia’s newly adopted strategy on its occupied territories was also discussed at the meeting at the de facto Abkhazian MFA, Apsnypress reported. Despite some “unacceptable” formulations the document includes several interesting points, Boden said, according to Apsnypress. 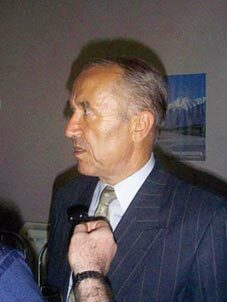 Daur Kove stressed that while there is no political goodwill among the sides of the conflict no documents will be able to help restore mutual trust. Dieter Boden is planning to visit Tbilisi on Friday and meet Georgian Minister for Reintegration Temur Iakobashvili and Vice Speaker of Parliament Paata Davitaia. Georgian media outlets suggest that the aim of the German diplomat's visit to Georgia is to activate his plan on regulating the conflict, which was discussed in 2000-2001. This suggested that the problem be solved by Georgia adopting a federal structure, something rejected by the Abkhazian side. The Georgian side also had concerns about this proposal. Vice Speaker Paata Davitaia said the visit of Boden and the possible activation of his plan are important. It would help stop Russia fulfilling its policy towards Georgia, Davitaia suggested. “His visit is important in order to stop Russia, which is continuing to force some countries to recognise Abkhazia and South Ossetia as independent states,” the MP noted. “We know what the EU’s position is on recognition [of Georgia’s breakaway regions], however it is also important that the issue of Abkhazia’s status in the context of Georgia’s territorial integrity be discussed in European structures,” he added. Davitaia said that Boden’s document is based on the principle of Georgia’s territorial integrity. “Although there are some critical views about Boden’s plan, I think it should become a subject of discussion,” the MP stated. Analyst in conflict issues Gocha Gvaramia suggested that Boden’s plan should be synchronised with Georgia’s newly adopted Law on the Occupied Territories and Strategy on Georgia’s Occupied Regions. He said Boden should first come to Tbilisi and discuss it with the Georgian authorities and after a package of proposals is drawn up by the Georgian side he should take this to the de facto Abkhazian officials. “The Georgian Government has reiterated that it is planning to restore Georgia’s territorial integrity through peaceful means, so it is absolutely necessary that discussions are held between the sides,” Gvaramia told The Messenger.